Open Box Remo Powermax 2 Marching Bass Drum Head Ebony 16 in. 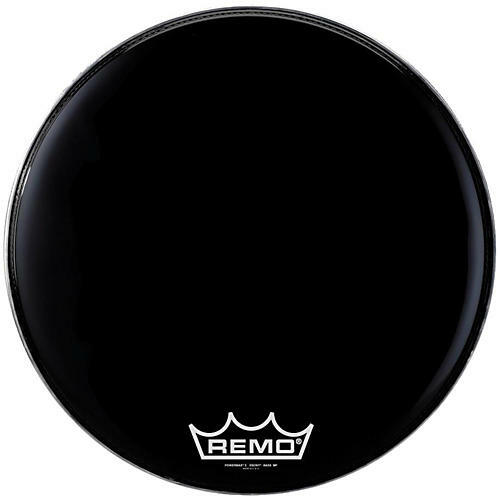 The Remo Powermax 2 bass drumhead includes a pre-installed free floating muffling ring and Controlled Sound dot underneath for optimum sound, projection, and tone control. No glue, no fuss, just take it out of the box and put it on the drum.From the stadium to the indoor arena the Powermax 2 does it all. The Remo Powermax 2 bass drumhead includes a pre-installed free floating muffling ring and Controlled Sound dot underneath for optimum sound, projection, and tone control. No glue, no fuss, just take it out of the box and put it on the drum. From the stadium to the indoor arena the Powermax 2 does it all.